There’s a saying in motorsport that goes, ‘If you want to win, hire a Finn.’ So popular are Finnish drivers that the country is recognised for producing some of the best world champions in various racing categories. 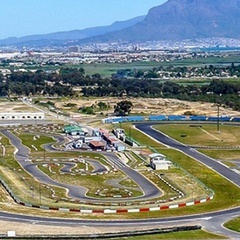 Finland is not the only country that can claim to produce racing legends, though – some South Africans are right up there with the best of them, having honed their skills on the local circuits, from Kyalami to Killarney. One of the most successful drivers in motorsport history is Jody Scheckter who, during his nine-year spell in Formula One, claimed 10 race victories and the Driver’s Championship in 1979. He was also the last South African driver to start a Formula One race – in 1980. 18 South African drivers had started a Formula One race before Scheckter, while 23 overall have participated as test or reserve drivers. South Africans are thrilled at the prospect of having a future South African MotoGP champion in the talented Brad Binder. Having made his name in Moto3’s 125cc motorcycle series by claiming the World Championship in 2016, Binder is currently competing in the Moto2 category with 10 wins overall to his name. His younger brother, Darryn, is also competing in Moto3 and raced alongside Brad in the 2015 and 2016 seasons. Many South Africans have devotedly followed the career of Giniel de Villiers, who competes in the tough and challenging Dakar Rally. He won the 2009 event in South America after a magnificent drive that saw him dominate the challenging terrain of Argentina and Chile. At 46 years old, de Villiers is still competing in the Dakar Rally and finished in 9th place in the 2019 season. What About Other Motorsport Careers? In addition to world-class drivers and riders, South Africa has produced several notable designers and engineers who have been involved in creating championship-winning vehicles. Rory Byrne and Gordon Murray are two former Formula One engineers who both designed winning cars. During Ferrari’s dominant era under Ross Brawn and Michael Schumacher, Byrne was the Italian outfit’s chief engineer and car designer. His vehicles went on to win 99 races and seven championships, making him the third most successful engineer in Formula One history. Gordon Murray was the chief engineer at McLaren in 1988, when the Honda-powered McLaren cars went on to win 15 out of 16 Grand Prix, claiming the Constructors’ Championship and giving Ayrton Senna the Driver’s Championship. Murray went on to design the McLaren F1, which remains the fastest naturally aspirated road car in the world. To top off South Africa’s engineering prowess, the current Dakar Rally championship-winning car, a Toyota Hilux, was designed and engineered by a South African-based outfit – TOYOTA GAZOO Racing South Africa. Impressed? We thought you might be. South Africans have contributed notably to motorsport – so much so that racing would not be the same without our country and its talented people. This post and content is sponsored, written and provided by Hippo.